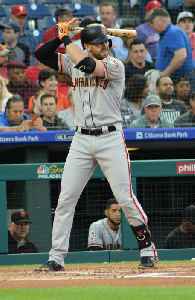 Evan Michael Longoria, nicknamed Longo, is an American professional baseball third baseman for the San Francisco Giants of Major League Baseball (MLB). He previously played in MLB for the Tampa Bay Rays from 2008 through 2017. German Marquez pitched a one-hitter, nicked only by Evan Longoria's single with one out in the eighth inning, and the Colorado Rockies ended an eight-game losing streak by beating the San Francisco..